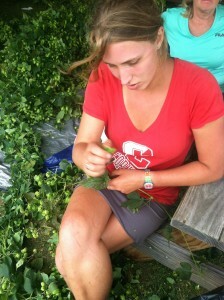 Throughout my internship I was able to work with multiple different farmers and their businesses. One that I spent a lot of time with was Mountain View Farm, a 250 acre dairy farm that also made farm fresh dairy products. 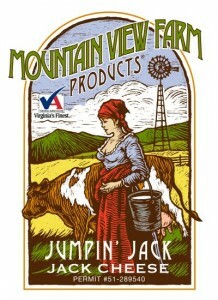 In the summer Mountain View Farm milks about 180 of their 200 cows twice a day, during the winter this number decreases. Their cows are grazed and fed a non-GMO grain. 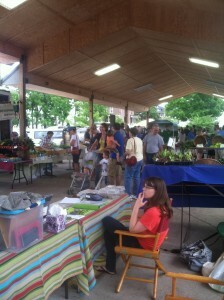 The owners, Fred and Christy Huger and their three wonderful kids live and work on the farm. 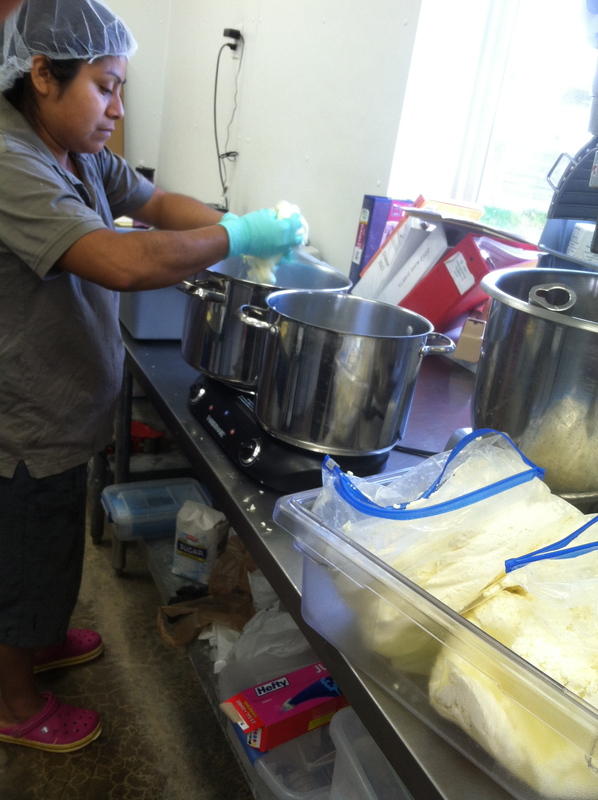 Fred handles and manages the dairy and cows while Christie makes the dairy products. 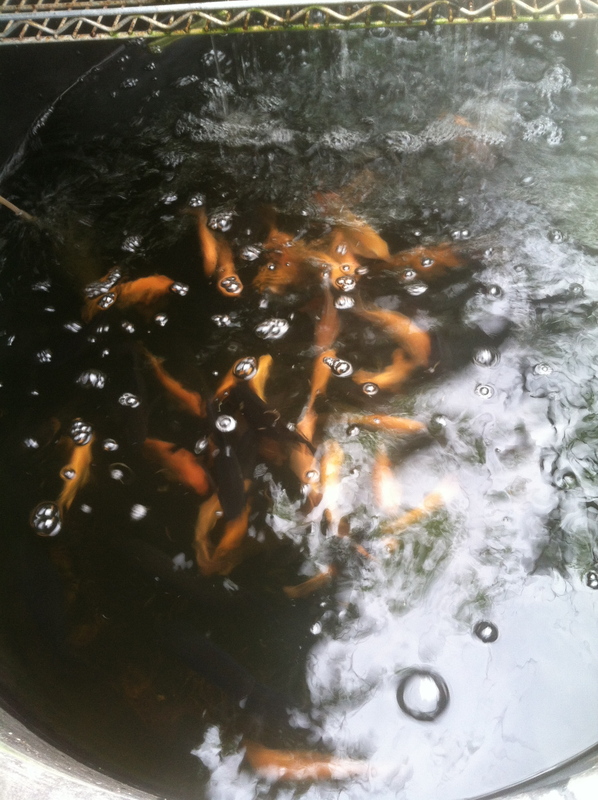 Their business has a great story and has evolved and grown in a short amount of time. Christie originally started making cheese out of their kitchen, then upgraded to a trailer. As demand continued to grow she quit her full time job as an art teacher and decided to make cheeses full time and eventually built a cheese making and cheese aging facility on the farm. They sell and make a variety of different products like hard and soft cheeses, milk, butter and ice cream. 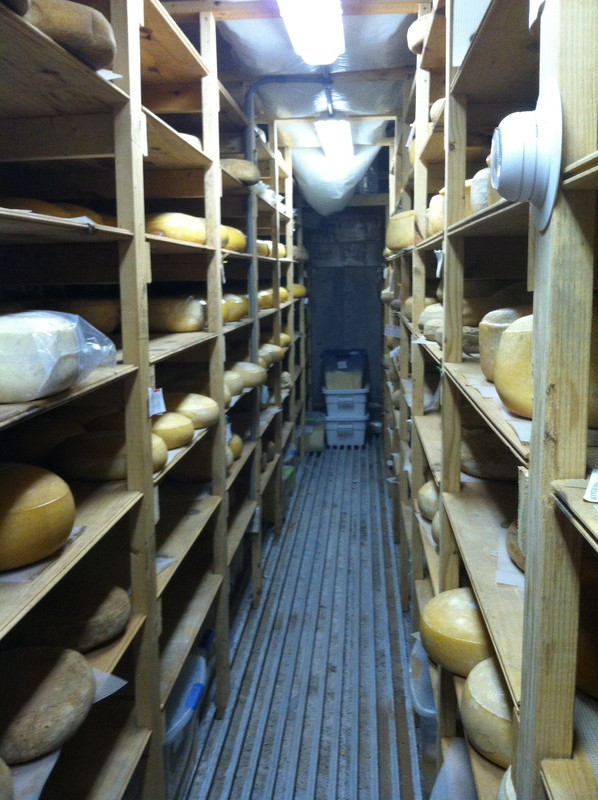 All the their hard cheeses are made from unpasteurized milk and because of certain laws have to age it for 60 days. 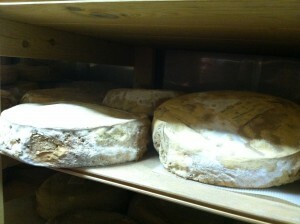 Their soft cheeses and spreads all use pasteurized milk. 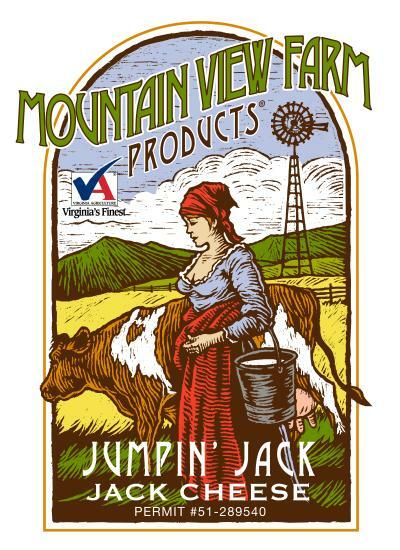 Mountain View Farm makes a variety of different cheese products like: jumpin’ jack chive, cheddar, feta, gouda, swiss, pimento cheese, mozzarella, fromage blanc and colby. 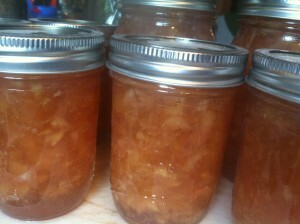 Many of these cheeses have different flavoring added, like herbs or habanero apricot jelly. 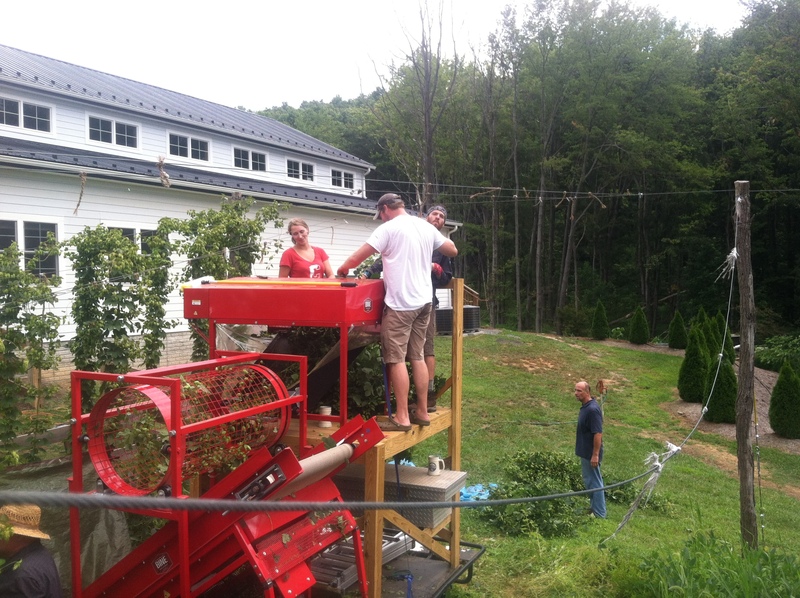 During some rainy days I helped make cheese at Mountain View Farms. One day I took the cheese wheels out of the press and put them in a mixture of salt water. 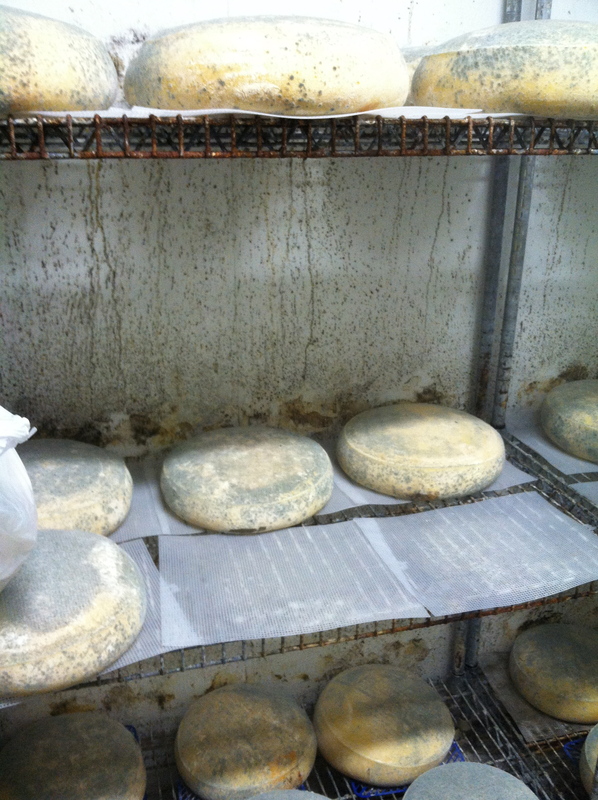 I also took cheese from their aging room and dusted off the mold, then painted wax on the bottom and sides. 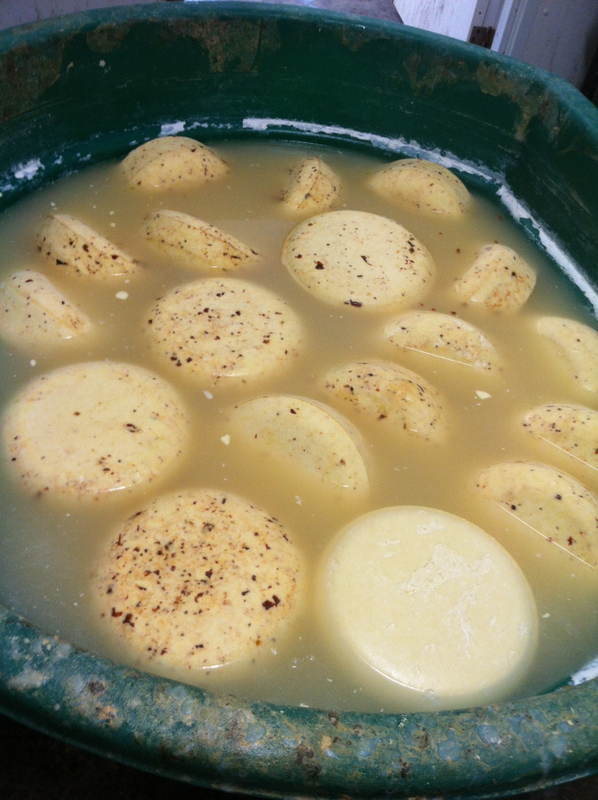 I helped churn, make and package fresh butter, and this butter was amazingly delicious. Everything sold was hand packaged. When we made salted butter I sprinkled in the sea salt then hand stirred it in. 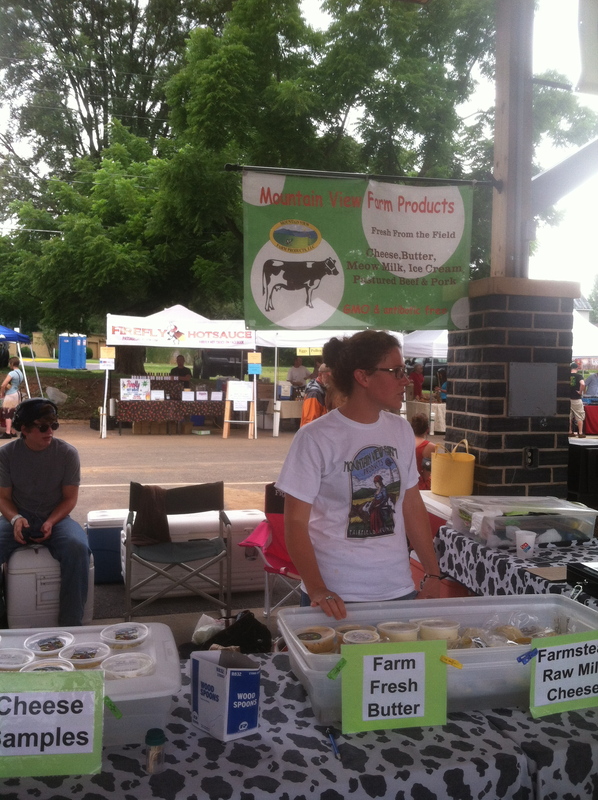 One very interesting business and marketing strategy that Mountain View Farm used was with their product, Meow Milk. This milk was commercially sold as a pet food product because it was hand bottled, lightly pasteurized and non-homogenized. 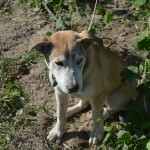 For these reasons it could not be legally sold for humans. Despite this, it was a top selling item. I also helped make mozzarella which was a delicious process! 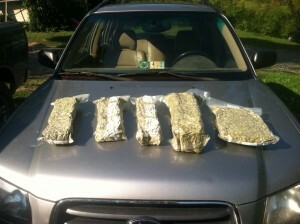 I stirred the cheese curds, then stacked them to be put in plastic bags and refrigorate overnight. 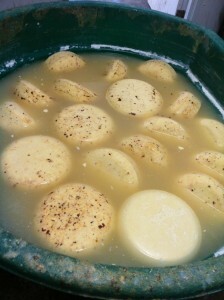 The next day you have to heat up two pots of water, then put the curds in the first pot for a couple minutes, then switch it to the next. 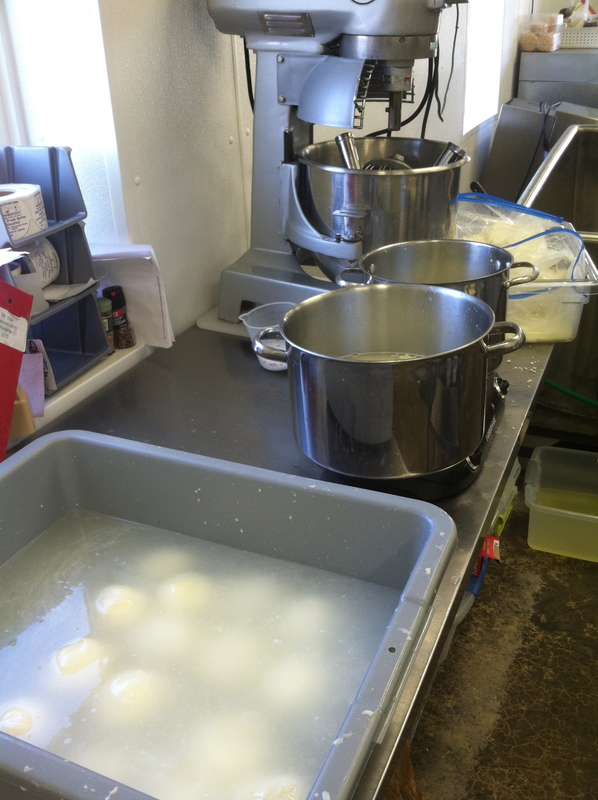 Then you take the curds and stretch the mozzarella and form a baseball sized ball. The trickiest part of all this is not eating all the warm and gooey cheese. 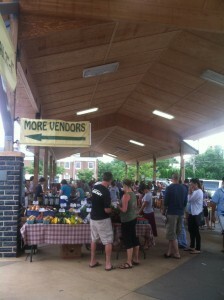 I also was able to go to two local farmers markets with Mountain View and help sell their products. I also grew very close with this amazing family and their kids even took me out shooting and hunting. The Huger family taught me about cheese making, running a profitable business, marketing products and working extremely hard and efficiently. I had a truly wonderful time with them and cant wait to go back and eat more cheese! The community that I live in has a lot of amazing people and farmers, and I have been able to visit and work on a couple other farms and projects. 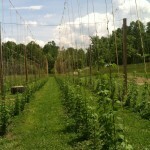 I spent a lot of time working on our vegetable garden here at Whipple Creek Farm. 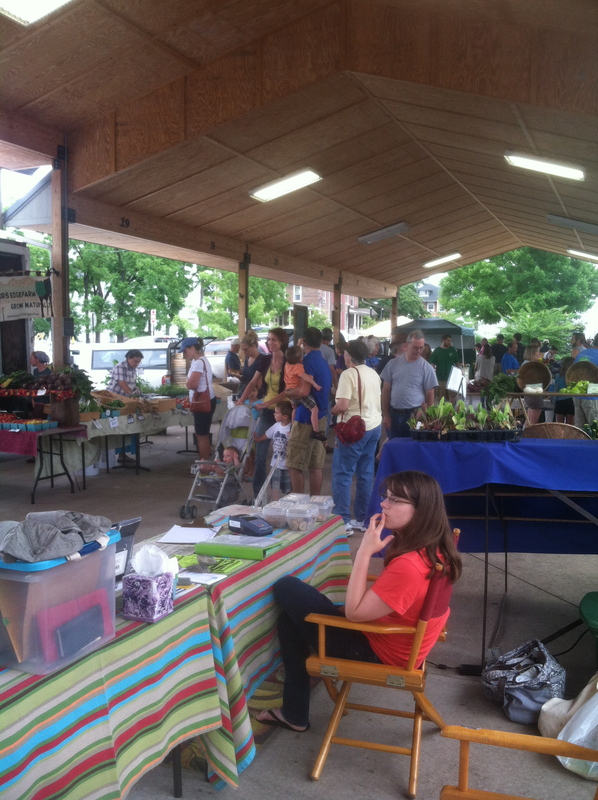 We planted about ten different varieties of tomatoes including beef steak, Cherokee purple, roma and early girl’s. 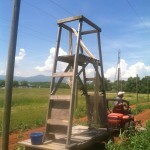 We used pig cage panels to create rows and eventually to help support the tomatoes. We also planted broccoli, silver queen corn, bok choy, lettuce, cucumbers, squash, beans, swiss chard, artichokes and beets. 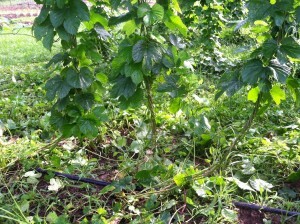 We then used mulch mixed with manure as a weed control. 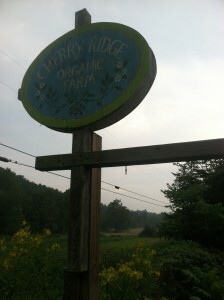 I worked on another farm about once a week called Cherry Ridge Farm. I helped out in their greenhouse, harvested vegetables for market, weeded and learned to can and preserve. 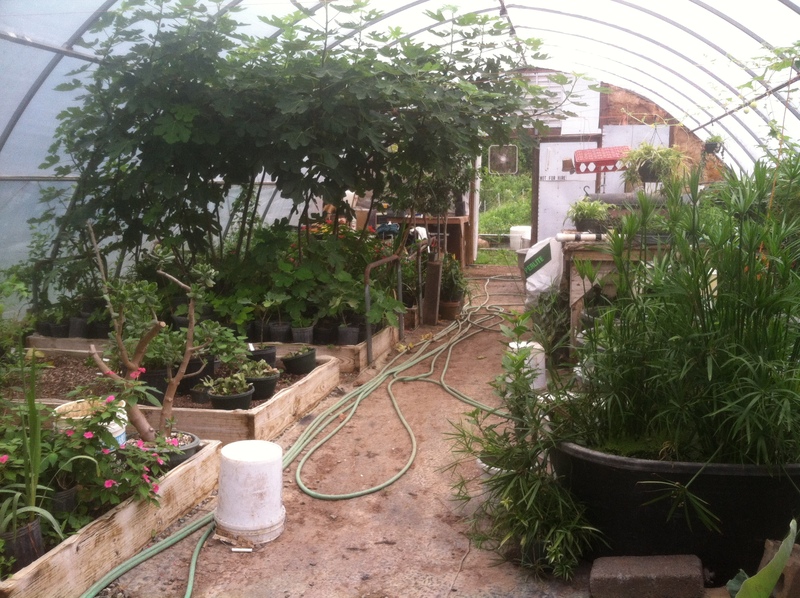 The owner, David Bebe has a beautiful greenhouse with an aquaponic system with tilapia and a variety of tropical plants like figs and bananas. 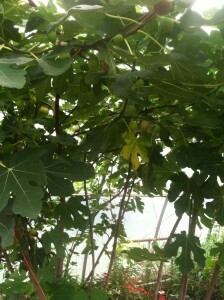 There are also different houseplants, crops and seedlings. 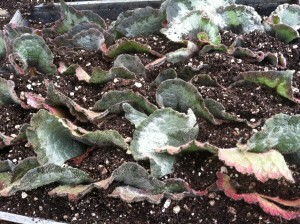 In the greenhouse I usually weeded the beds and pots, re-potted a lot of plants and seedlings and helped perform other odd tasks. 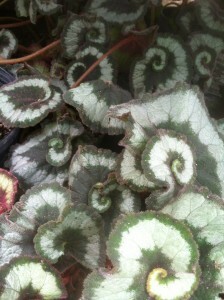 I also helped propagate leaf cuttings of snail tailed begonias. 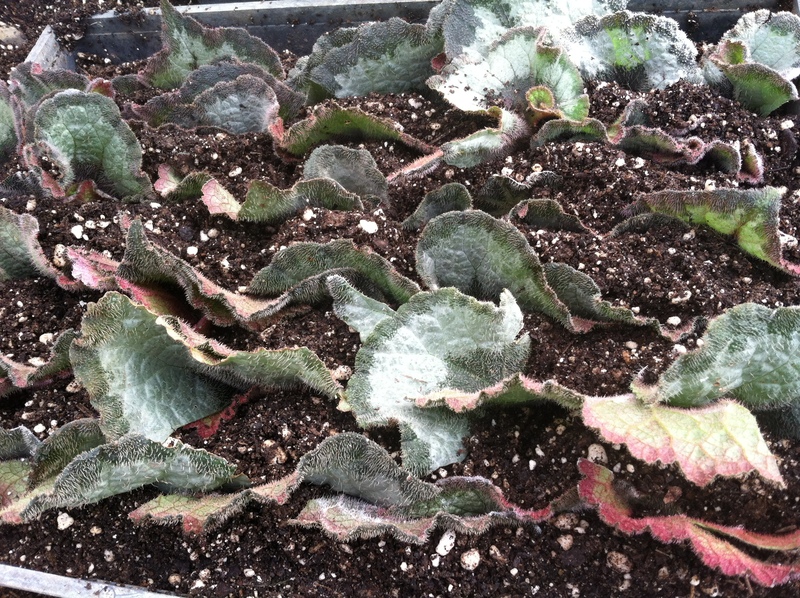 We first made a couple fresh leaf cuttings then cut each leaf into small pieces about a couple inches long and wide. We made small incisions on the veins then lightly dusted them with a plant growth hormone. After that step we stuck them in the soil. 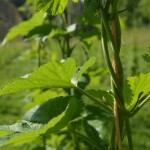 These ornamental crops are very important for Cherry Ridge Farms business because they sell them for $10-30 and are very popular with costumers at Farmers Markets. Cherry Ridge Farm sells their produce and value added products at the Lexington and Rockbridge Farmers markets. They have been experimenting with value added products like syrups, dried fruits and candies, all of which are made on the farm using their own products. They grow their own ginger in their greenhouse and sell it whole but also make a candied ginger out of it. 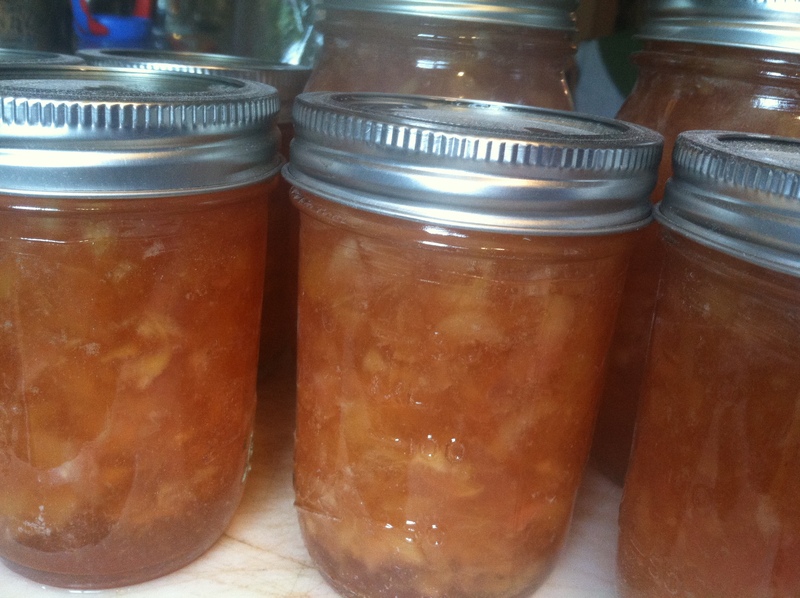 This delicious treat takes a long time to prepare because you need to peel and cut pounds of fresh ginger, boil it, drain the water, add sugar, and wait for it to caramelize. 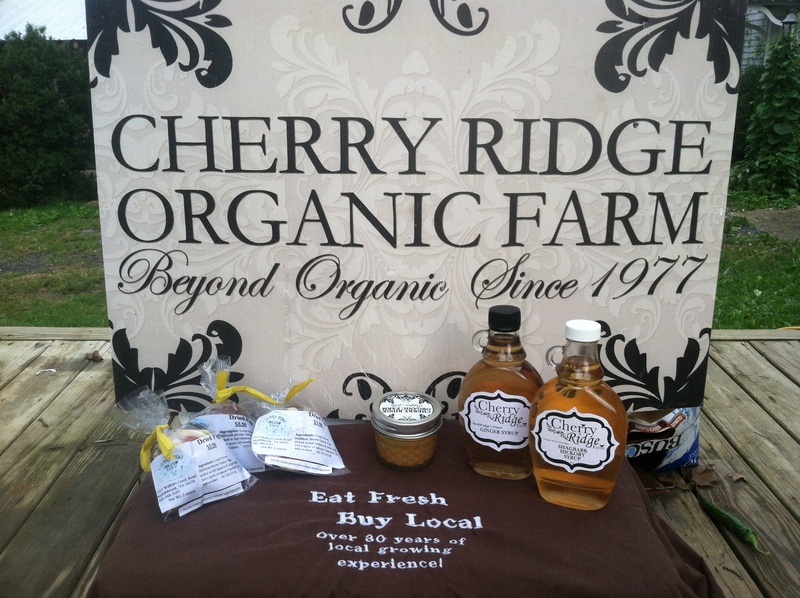 Another product they sell and I helped make is ginger and shagbark hickory syrup. We saved the boiled water from the ginger candies and boiled it with sugar to make a syrup. We did a similar thing with shagbark. 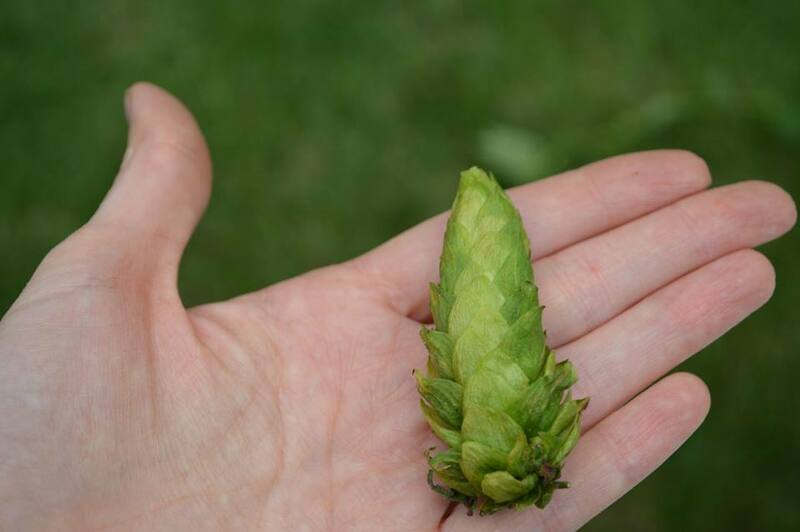 You first collect the shagbark, roast it in the oven, boil it and use that water. Other products included English mustard, peppered jellies chocolates with fresh fruit and dried figs. These products were large selling items, increased diversity and were unique. I really enjoyed working at Cherry Ridge and with David Beebe. I learned a lot about a variety of plants, greenhouse operations, marketing and making specialty products. I acquired many skills that I will definitely implement into my life and career. Greetings from Virginia everyone! 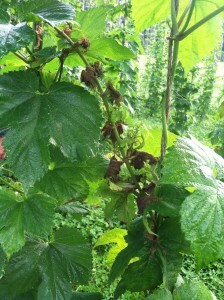 This blog post follows my first week at my internship at Whipple Creek Farm, which is primarily a hops farm. 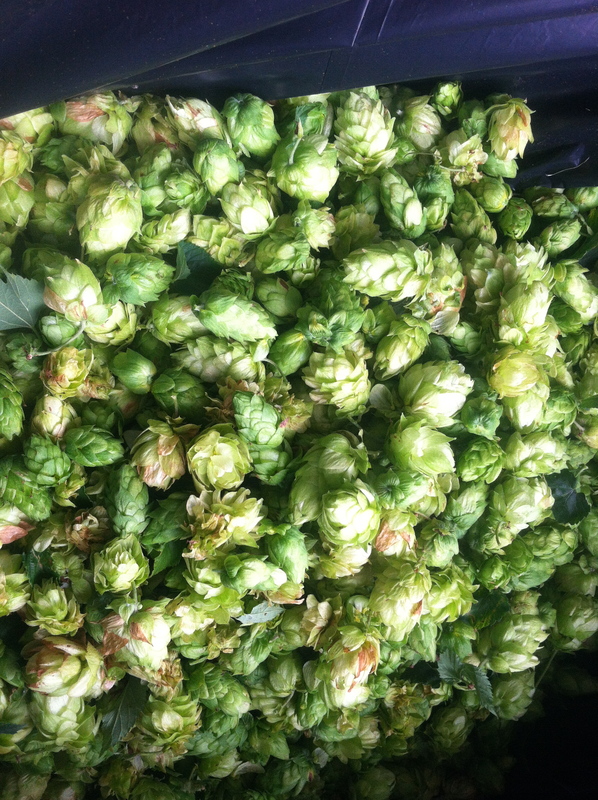 Our farm has about ¾ of an acre of cascade hops. A little over half the plants were planted this year, and the other half are three years old. 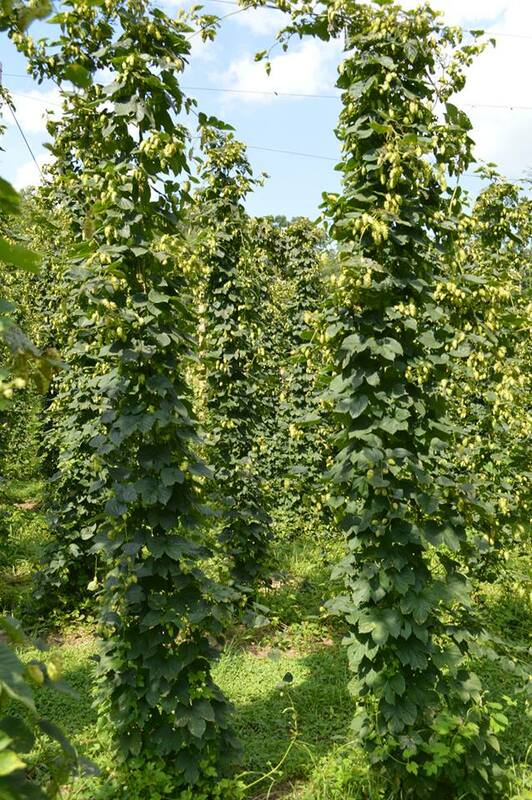 We grow cascade because they are very resistant to certain diseases and perform the best in this environment. On the farm we also have vegetables, chickens and piglets! I arrived here Sunday, May 26th and it’s already been a crazy time. On Memorial Day I worked at our hop field stringing hops. 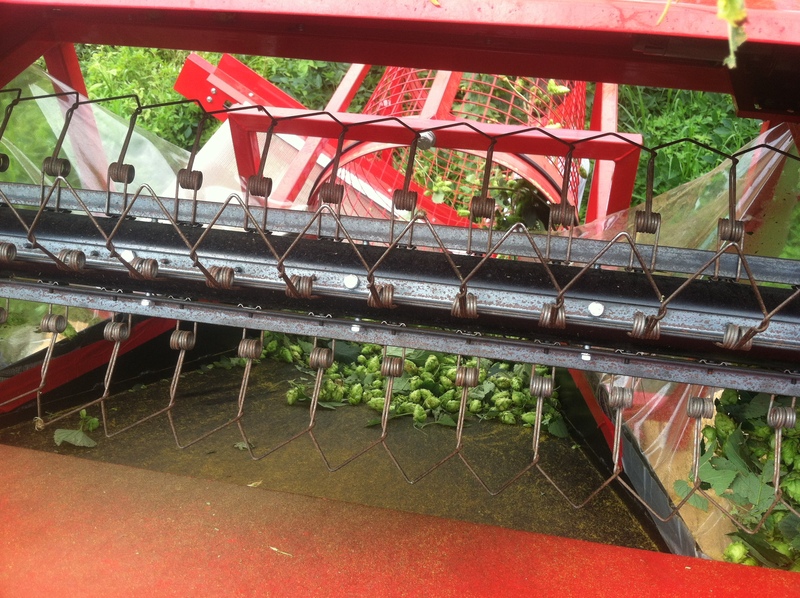 To string the hops you first need to put up the string using a ladder or tall device, then stick it into the ground on each side of the irrigation using hop clips. 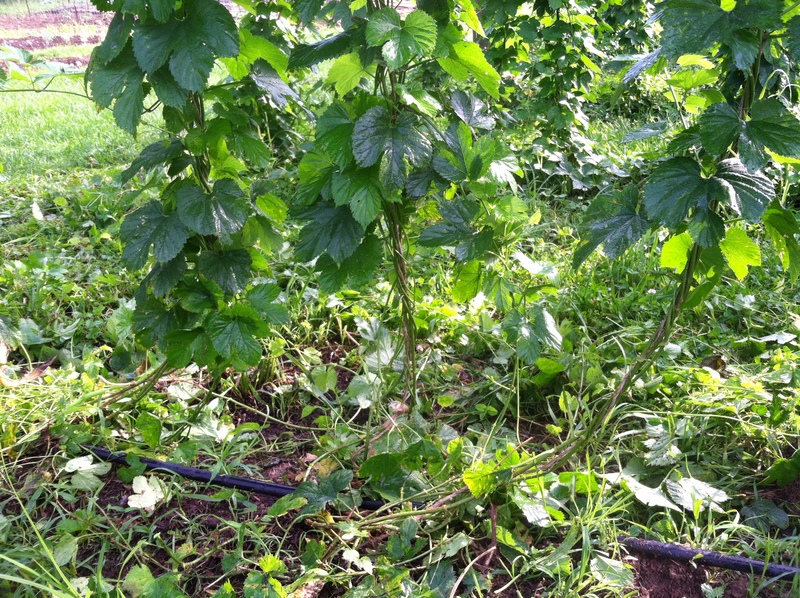 Then you pick 3-4 plants and twist them up the string clockwise. 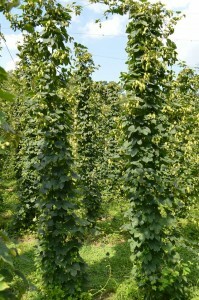 Our goal was to get the all the first year hops strung by the end of the week. After a busy morning, I then went to Devil’s Backbone Brewing Company in Lexington Virginia to tour the facility and help my roommate (who is a brewer there) and her co-worker do a Belgium stout homebrew. 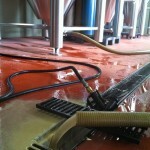 Devil’s Backbone’s Lexington location is called the Outpost and has a 30 barrel brew system (1 barrel is 31 gallons). This was such a wonderful experience because I saw and helped with certain tasks required for larger beer production and do things like drain yeast. 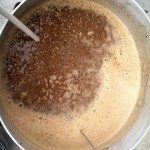 I also got to help make what will hopefully be a delicious homebrew. 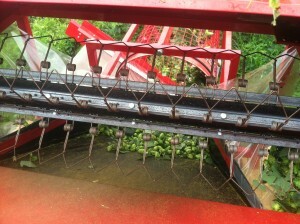 Over the next couple of days we continued stringing hops. 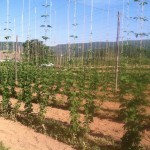 Then on Thursday I went to two other hop yards, Blue Mountain and The Barrel House. Blue Mountain Brewery has four and one year cascade plants, and intercrops them with soybeans as a weed control and to increase soil health. I spent the majority of the day helping string hops at The Barrel House. 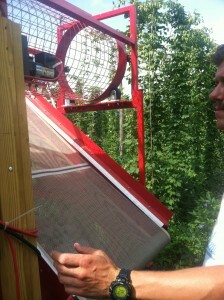 We used a cart that was pulled by a lawn mower type machine to first tie up the strings to the wires. I went up on the cart, learned the knot they use and finished a couple of rows. 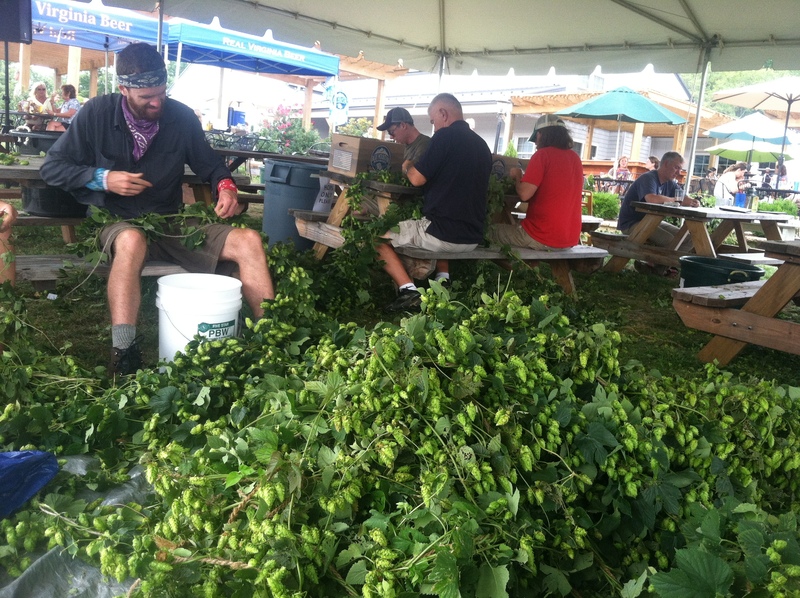 Later in the day The Barrel House had a stringing hops event that they posted on their facebook page and local newspapers that asked for volunteers to come from 3-7 pm to help string hops and eat free food. 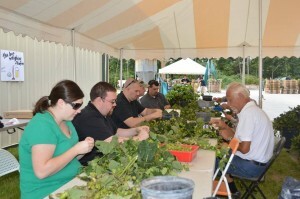 This was an excellent marketing strategy and we were able to have enough volunteers to get a couple rows finished. 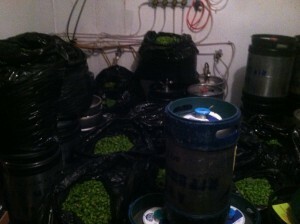 We drank good beer, ate delicious food and had great conversations while getting a lot of work done. On Friday there was more stringing in the morning at Whipple Creek. We were so close to finishing, only one row left, but we had to stop early to go to West Virginia to pick up the piglets! 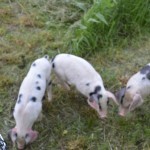 We bought three Gloucester Old Spot piglets, two female and one male all about 2 months old. Before we picked them up we set up a small paddock on the property so they could graze on the tall fescue and orchard grass there. We used electric movable fencing and plan on rotating them weekly. The pigs will be bred and used for meat. 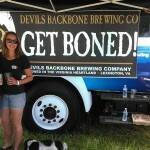 On Saturday I accompanied April (my roommate) and Devil’s Backbone to Strings and Spirits, a bluegrass and beer and wine festival in Roanoke Virginia. It was a super hot sunny day but I got to listen to good music, meet new people and try some local beer, cider and wine. 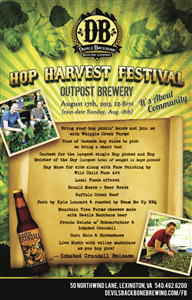 It was a great festival that helped showcase local musicians, artists and brewers. We then went and got a tour of Buried City Brewery, whose main products include Dam Lager and Red Clay IPA, before we made our way back home. 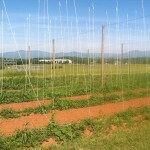 On Sunday we finally finished stringing all the hops! Next step, weeding and mulching. I made a new best friend. Everyone, meet Muchen. Overall, it was a pretty great start to what I hope will be a wonderful summer.